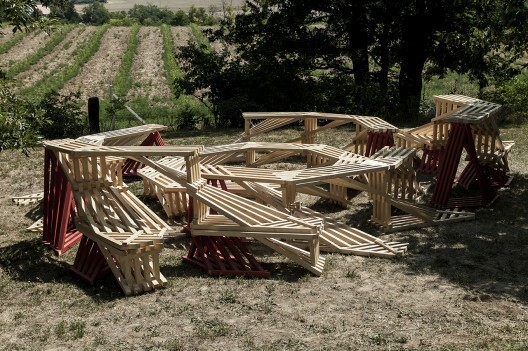 For the fourth year, the creative camp Hello Wood took place last month in the countryside north of Lake Balaton in Hungary. At the event (under the motto “Step Closer”), 120 young architects and designers, along with leading experts, worked to design, create, and construct installations that address social and community issues in architecture. 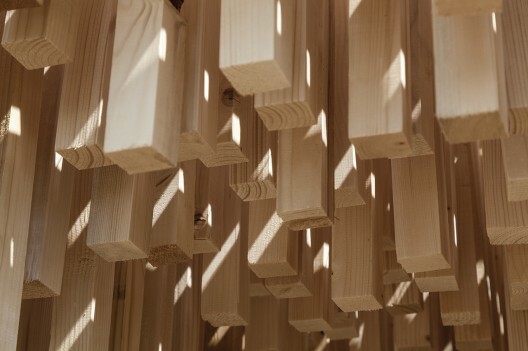 The twelve teams assembled at Hello Wood had only a full week to create these installations using — you guessed it — timber as the primary material. At the end of the week, every project created would be judged and a winner is selected and awarded, but I want to share some of my favorite installations from this year’s Hello Wood event, after the break! 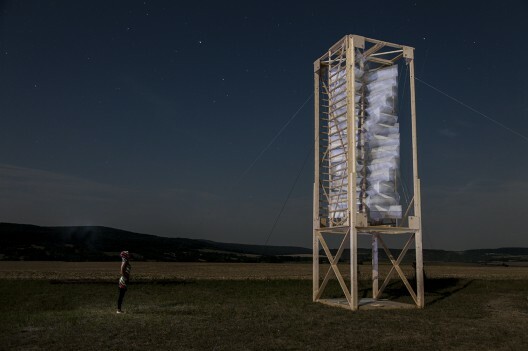 This windmill isn’t your run-of-the-mill utilitarian energy generator; it’s a visual spectacle that highlights and showcases the issues of energy generation and sustainability into whoever views it. The FireNEST is an interesting take on the social act of sitting around the good-ol’ bonfire. The team wished to allow more people to sit around the fire, without anyone getting excluded. The installation takes shape of an amphitheatre-like design, allowing for multiple rows for people to sit without blocking anyone out. This is the jury prize-winning project from this year’s Hello Wood event, which was designed to bring users in touch with their senses, an antidote to the everyday pressures of modern life which often causes us to forget how to live an restful, easy-going life. The installation showcases timber batons hung along the ceiling, giving an immersive sound, feel and smell to the space. 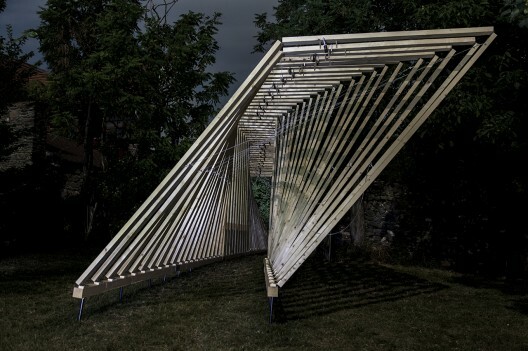 This approximately 66-foot long parallelogram passageway was constructed of linked moving parts, making it possible for people passing through it to adjust the structure. This is personally my favorite structure from the event, as it adds an engaging and interactive element to this piece of architecture. decirte que sigas realizando tan buen faena! Next Next post: But Really, How Much WOULD It Cost to Be Batman?